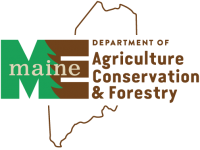 « Maine Harvest Bucks Holiday Bonus! 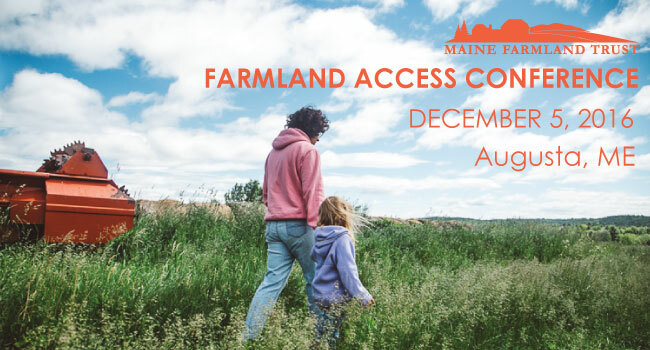 Join MFT and others for a day of discussions and dialog where we will grapple with the challenges of how to provide for a farm’s future when a farmer is ready to step back from the work, and how next generation farmers can position themselves to take on the stewardship of farmlands in transition and make their mark on the future of Maine and New England’s food system. 8:45-10:00 Keynote Address: “A Vision for the Future of New England’s Working Farmland” by Brian Donahue, Co-Author of A New England Food Vision and Associate Professor of American Environmental Studies, Brandeis University. A New England Food Vision describes a future in which New England produces at least half of the region’s food – and no one goes hungry. It looks ahead half a century and sees farming and fishing as important regional economic forces; forests, farmlands, soils and waterways cared for sustainably; healthy diets as a norm; and access to food valued as a basic human right. Where will we find the land, and connect it with farmers? Today’s New England farmers—both those who are transitioning out of farming and those who are starting new farm enterprises—will have a pivotal role in shaping the future of our regional food system. How will we rise to the challenge of working together to ensure that farmland will be available to support the food system imagined by the New England Food Vision? 3:45 – 5:00 pm FarmLink Mixer: an opportunity for farm owners and farm seekers to explore potential farm link opportunities. Online registration has ended. We will be accepting registration starting at 8:00 at the civic center. Questions? Interested in sponsoring the event?